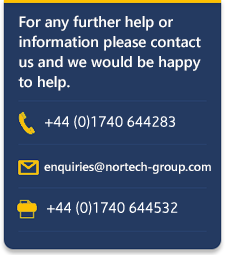 Nortech Group are one of the UK’s fastest growing and most respected engineering service providers. Nortech provide full multi-discipline Engineering Design, Management Consultancy and Staffing Search and Selection services. Our aim is to reflect our client’s values and culture within Nortech Group’s range of services, providing smart solutions. © Nortech Solutions. All rights reserved.